Did you know you can change out the wubbanub pacifer? You know that super cute pacifier with stuffed animal, that is great for the little ones who struggle to keep them in their mouths. 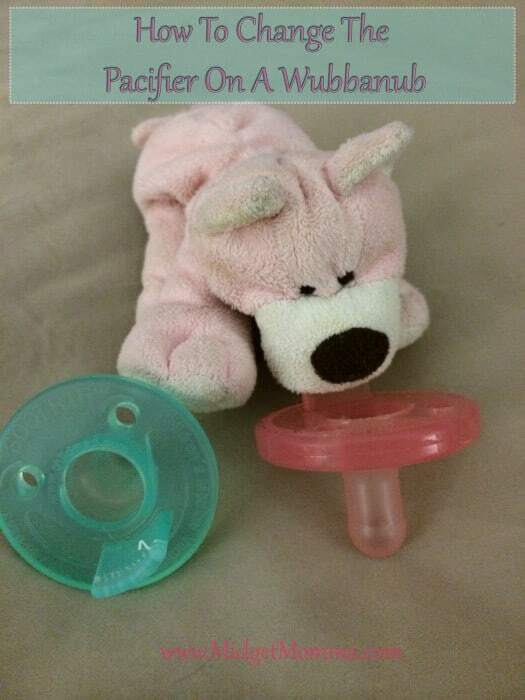 You can follow these simple steps for How to Change The Pacifier On A Wubbanub easily with a few simple steps. My daughter loved her soothie pacifiers when she was a newborn but she could never keep them in. One of my friends told me all about Wubbanub, the pacifier with a stuffed animal attached. I was up for trying one out because I felt bad that she wanted the pacifier so badly but it continued to fall out. The wubbanub pacifier worked so great because it held the pacifier in her mouth for her. As she got older the stuffed animals became her friends she loved. 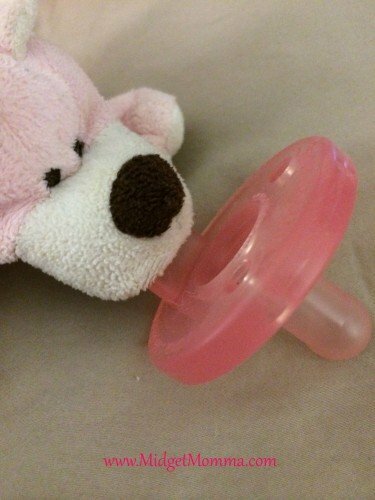 However we ran into the problem that we needed to change out the soothie pacifier in the stuffed animal pacifier. They get a bit gross after a while, and they don’t come with instructions on how to change the soothie in the animal pacifier. I am sure this is because they want you to replace the whole product, but as Moms we all know that onces a kid falls in love with something that it is rather difficult to “just get a new one”. The big problem was there was no way to just change out the soothie pacifier. Luckily I am good at sewing and figured out how to change them out myself. It is very simple with these steps. I figured out this trick for the Wabbanub pacifier and changing out the soothie pacifier that goes with it! It saved many meltdowns in our house being able to replace the pacifier in the Wubbanub instead of buying a new friend for my daughter. 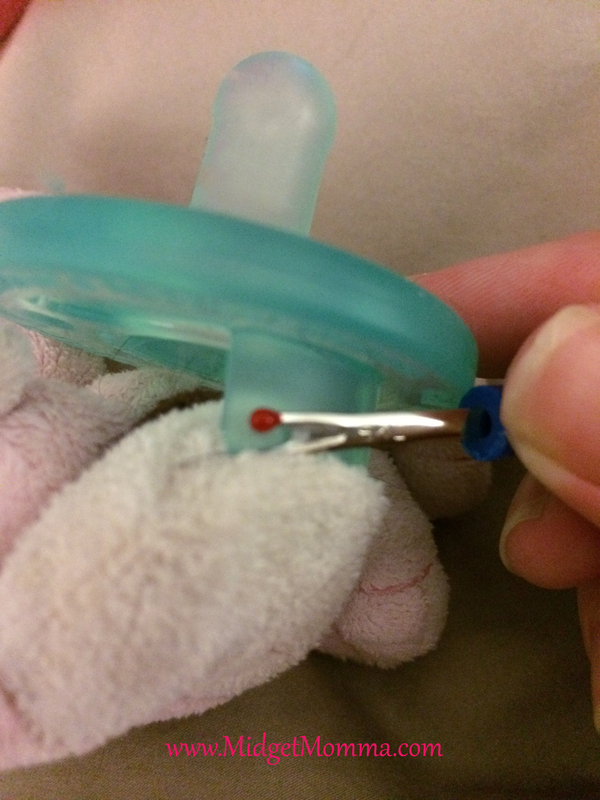 Pull apart the fabric from the pacifier so you can see the stiches. Take your seam ripper and remove the stiches. Place the new pacifier into the mouth making sure its in there well. Using the a thimble or something hard sew the pacifier onto the stuffed animal. Making sure its really attached. Keep an eye out to make sure the stitching doesn’t come loose. Pull apart the fabric from the pacifier stuffed animal so you can see the stiches. Take your seam ripper and remove the stiches. Place the new soothie pacifier into the mouth making sure its in there well. Thank you so much! My son adores his wubbas, but they’re just so expensive to replace! This was a really simple solution and a huge money saver! This is the most pointless post ever! You’re not teaching anyone anything you’re just telling them to see a new paci on. Thanks that’s helpful! I wasn’t about to buy a new one once a month just to change out the paci. This is great for when it’s time to give up pacifiers too. Just remove the soothie and sew the mouth shut. Makes for a super easy transition because little one still has his/her stuffed lovie to cuddle with! Why go through all that trouble! Just buy a Dr. Brown’s Stuffed Animal Pacifier. They make it so the pacifier easily unsnaps and can be changed out or the stuffed animal can be washed alone with the pacifier. Also the price is cheaper and the stuffed animals are cuter! That’s fine except for the fact that my son will not use any pacifier except his wubbanub giraffe. We’ve tried the kind that unsnap but still have a similar paci and he wants nothing to do with them. We’ve even tried other animals by wubbanub and he doesn’t want those either. Some babies know what they want and won’t use anything else. My daughter never seemed to notice when i changed out the pacifier on her wubbanubs but i know my friend’s son would know.